Portland is a scenic city in the Oregon State, in the USA. With over 615 000 residents, it is the largest destination of the region. Portland offers you its wonderful green spaces and a thriving art scene. The top attractions of this metropolis include Washington Park, Oregon Zoo and Oregon Museum of Science and Industry. Prepare yourself to discover this gorgeous destination, because cheap flights to Portland are now available for a limited time! Portland is home to Portland International Airport (PDX), which is a 20-minute drive, or a scenic 45-minute train ride from the city centre. Portland International Airport serves a multitude of airlines, including Delta Air Lines, Alaska Airlines and Air Canada. Popular flights from Johannesburg to Portland are available. The flight duration is approximately 25 hours. 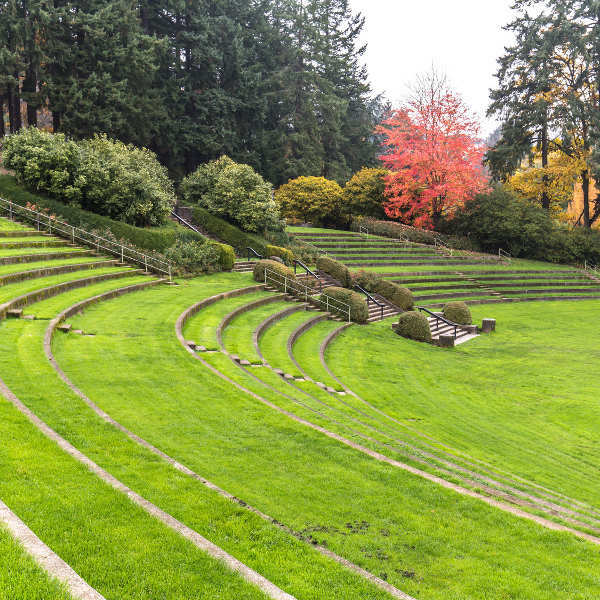 Enjoy breath-taking views and clear your lungs with the stunning selection of nature parks around Portland, including the International Rose Test Garden and Kelly Butte Natural Area. With its focus on preserving the surrounding area, this destination boasts over 560 kilometres of bicycle paths. Explore Portland in this wonderfully scenic manner! Portland is famous for its amazing collection of iconic bridges, from where you can catch lovely views of Portland and the surrounding areas. To get the best hotel deals and fewer tourists, visit Portland during May (late-spring) and during October (mid-autumn). While the nights are cold around these times (below 10°C), you can indulge in rising temperatures in May, while the heat of the summer (June – August) is still cooling off in October. In May, you’ll have a good chance of finding low hotel rates (with the summer crowds still to arrive). In October, the tourists will have already left, meaning better availability and the best hotel deals. Treat yourself to the pleasure of a memorable holiday experience in the picturesque city of Portland. Situated on the Columbia and Willamette rivers, this destination in Oregon offers you scenic views toward the distant and snow-capped Mount Hood. Portland boasts more than 4,000 hectares of gorgeous parks and nature locations. Soak up the beauty of these alluring venues, such as Chimney Park and Mill Ends Park. 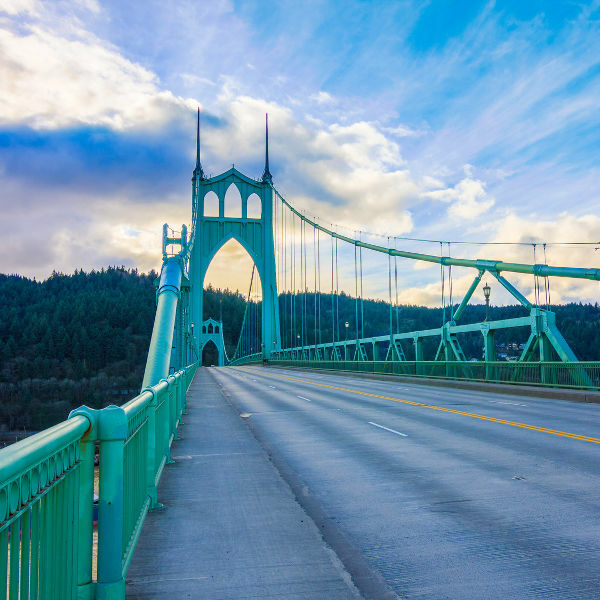 Enjoy more unforgettable sights with all the magnificent bridges around the city, including St. Johns Bridge and Sauvie Island Bridge. 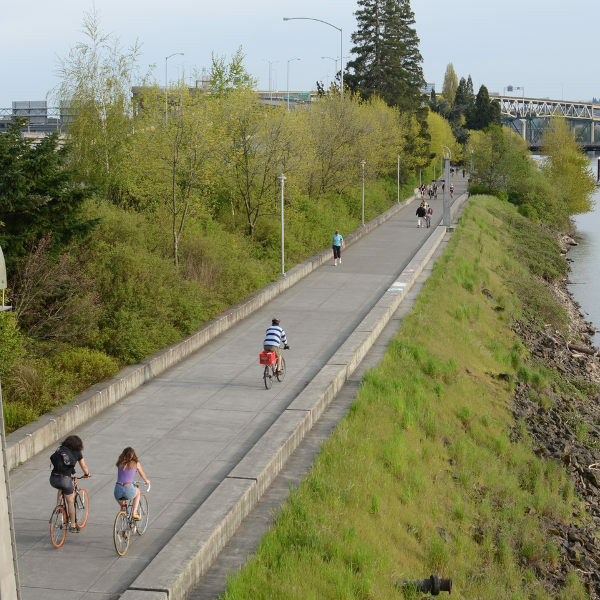 Portland has developed a reputation for its eco-friendliness, and is where you can explore a huge network of bicycle paths! When you’re just looking for some relaxation, rest your legs at the variety of coffeehouses and microbreweries around this metropolis in Oregon. Compare several airlines, and book your cheap flights to Portland online at Travelstart! You will need a U.S. visa to visit Portland in the United States of America. Make sure you submit your application and receive your visa before purchasing your flight ticket. For more information, contact the United States Consulates in Johannesburg (telephone: + 27 11 290 3000), Cape Town (telephone: + 27 21 702 7493) and Durban (telephone: + 27 31 305 7691). The nearest South African representation to Portland is in Los Angeles. Practise basic caution when you’re in Portland, and you should be fine. Beware of travelling at night, on foot or by train, especially around the areas of Old Town, 82nd Avenue and Sandy Boulevard.